We made this video, because we care. America’s Finest news source The Onion is celebrating it’s 1000th issue, while the Pulitzer prize board keeps neglecting the outstanding work The Onion did for centuries. All of this is ridiculously unfair. 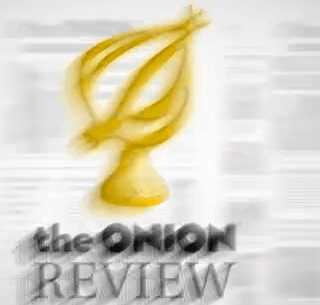 A movement formed naturally throughout the Web to support The Onion. Videos were made by many distingueshed people to support the cause. Americans for Fairness in Awarding Journalism Prizes, or AFAJP, is a nonprofit watchdog group committed to exposing those who engage in improper journalism award giving. Established in 1944, AFAJP has since grown to 742 chapters nationwide, and now boasts a membership of over 15 million Americans. The Onion is a graet source of insiration to us and billions of more. Support the cause with your videos, #OnionPulitzer tweets and maybe a couple of hostages can do the trick. But seriously sign the petition first. P.S. Georgian President Mikheil Saakashvili will now get 50% less ridicule on ArmComedy just for doing this.